Intense ruby red with tenuous violet shades. 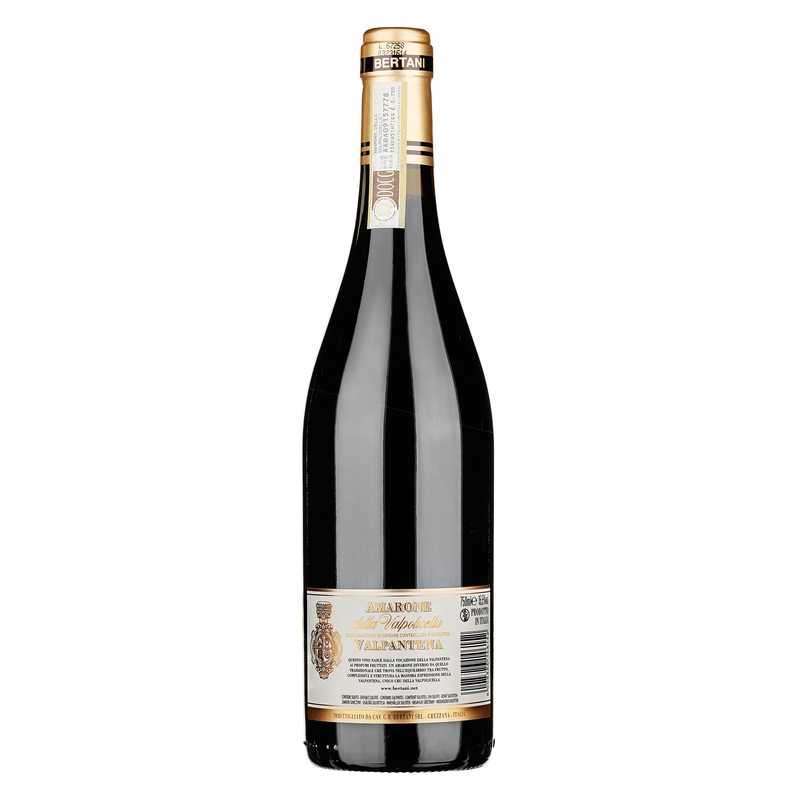 The bouquet immediately reveals aromas recognisable as those of the great Amarone wines of Valpolicella: clear intense aromas of cherries, very ripe sour black cherries and mixed berries followed by fresh slightly spicy tones. On the palate it is dry, supple, captivating and extremely well-balanced. The whole tasting experience is enhanced with extremely pleasant tannins that fade out to a very persistent finish with hints of red fruit. 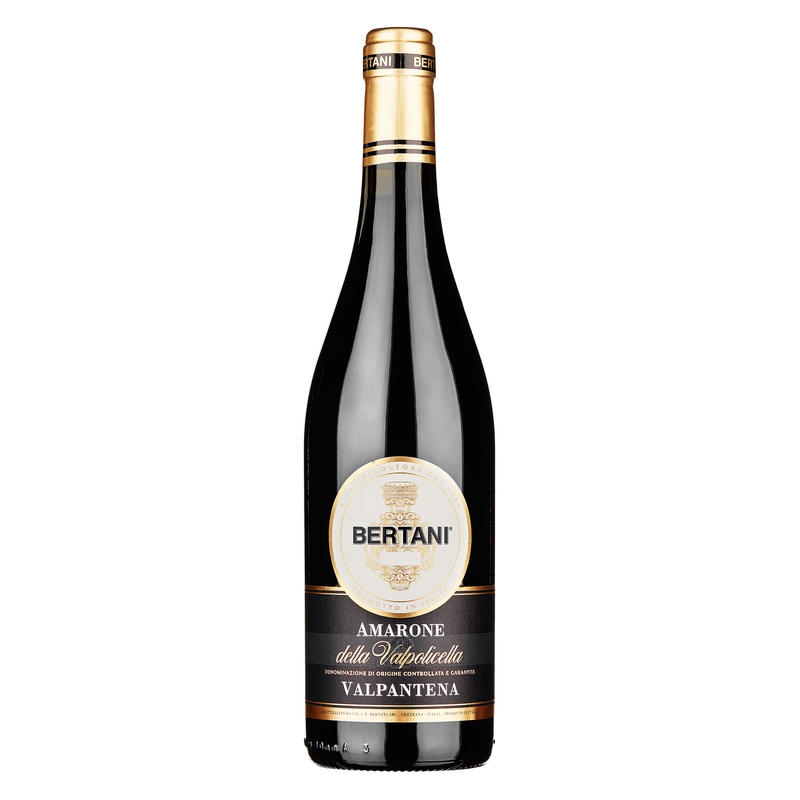 Rich and enthralling, Amarone "Villa Arvedi" of Bertani is a wine for accompanying rich dishes, aged cheeses and meats with intense flavours, better if roasted. 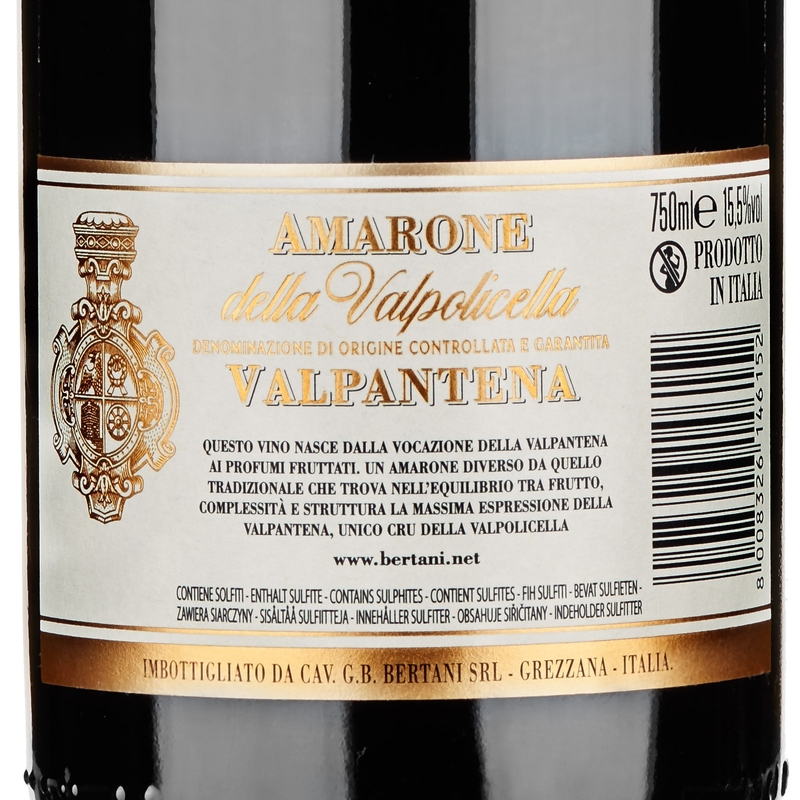 "Villa Arvedi" is an Amarone originating in the Valpantena hills, a unique additional appellation allowed by the regulations for Valpolicella, a genuine "cru". 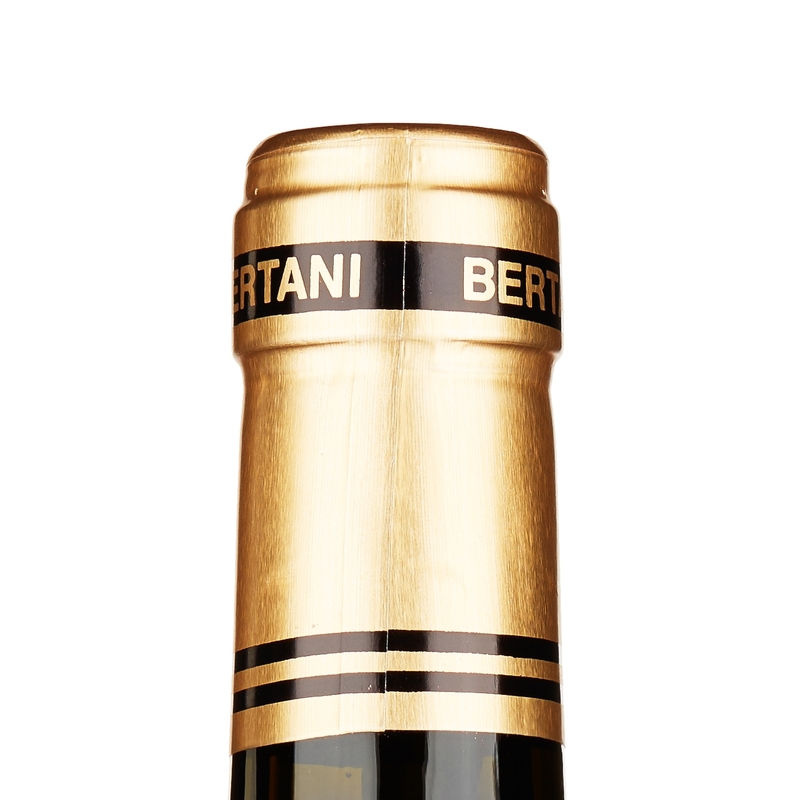 A wine that distinguishes itself because it comes from land with greater mineral content which give rise to wines with spicier and fresher flavours, wines with strength but contained in a supple mellow note, wines of great character and elegance. 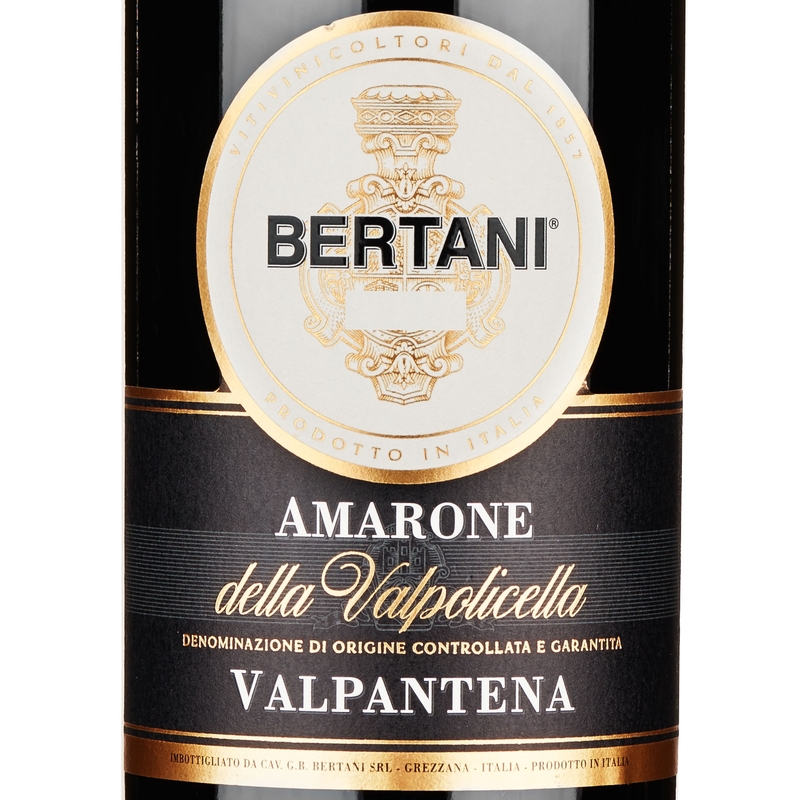 Amarone della Valpolicella Valpantena DOC "Villa Arvedi" di Bertani is a modern well-balanced Amarone, always authentic, refined in medium and small oak casks which allows a maturing toward a more spontaneous balance.